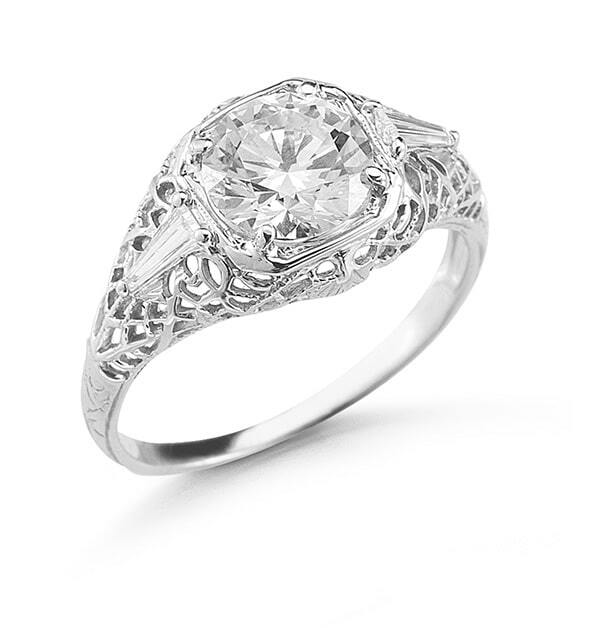 This is our Vintage Anne-Laure Engagement Ring Setting with a Round Brilliant Cut Diamond set in Platinum. This setting can be made with either a Round Brilliant Cut, Square Cushion Cut, or old Mine Cut Diamond. This ring is available in platinum, 18k yellow gold and 18k rose gold.